Michael Pachter says there's "no prayer" that the 3DS will make it overseas shortly after its Japanese release. 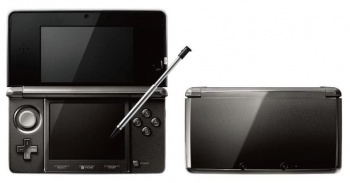 Videogame industry analyst Michael Pachter has made an initial response to the news that Nintendo will be releasing the 3DS in Japan on February 26, 2011 for Â¥25,000. While it's expected in March for North America and Europe, Pachter says it wouldn't be surprising if the handheld were delayed into April for overseas markets. Speaking to Joystiq, Pachter said: "Looking at how Nintendo does things, if you're launching February 26 in Japan - and their earnings reports say before the end of the fiscal year in U.S. and Europe - is there any prayer, even a 1 percent chance that they'll launch a week later in the U.S., March 5? No freaking way. It's not even remotely possible they're launching first half of March. I'm betting it gets delayed until April in Europe and U.S."
It just keeps getting worse for those that hoped the 3DS would magically come overseas in 2010. However, Pachter at least offers a reprieve in the area of pricing, as he doesn't expect the 3DS to cost $300 (an approximate conversion of Â¥25,000 to dollars). He's betting on the still somewhat high price of $250, and says it'll be that high because Nintendo is kicking itself for not making more money off the Wii. "They screwed up on the Wii. It was sold out for two full years," Pachter continued. "They should have sold it for $300 at launch, and made another $50 for every Wii sold during that period. It sold so competitively in the first few weeks that it was going for $1,000 on eBay -- and they absolutely don't want to see the 3DS on eBay." "I think Nintendo will charge $250 and people will pay it," he added. Pachter also predicts a possible increase in software prices, noting that Nintendo's first-party games are priced $5 to $10 higher than the DS standard of $29.99. He believes that standard may be brought to $34.99 for 3DS titles, which isn't a far cry, but it is one less dollar-menu meal at a fast food joint. Let's face it: the 3DS would sell like hotcakes at a comfortable $199, and products that are likely to be in high demand are hardly ever priced where the consumer is comfortable. I'm no industry analyst wearing a fancy pin-striped suit that looks over lengthy reports that contain lots of numbers all day long or anything, but I don't think it takes a Michael Pachter to see Nintendo is going to go for maximum profits on this one. Iwata himself has even already admitted it.